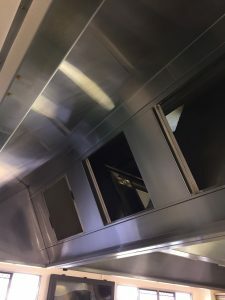 The Lads made quick work of this duct cleaning job in Carindale Brisbane. Last week I was called to kitchen in a well know Carindale Venue as the manager had concerns about the quality of week that he was currently getting. After taking out a filter and looking along the horizon duct I could clearly see that it had never been cleaned before. The Previous contractor had only cleaned as fan in as their hands could reach. Lucky for this Brisbane proprietor I sent the lads out the next day to see what we could do. 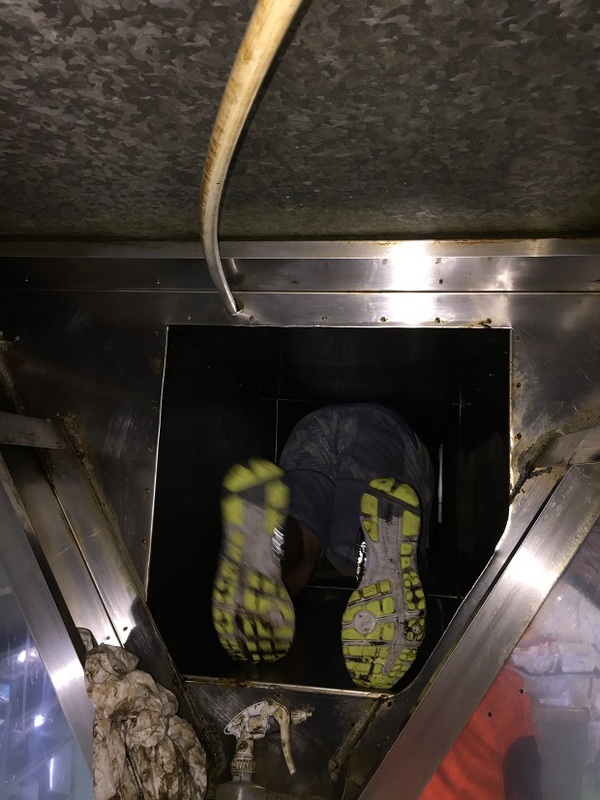 There was no need to cut a large access panel as all the staff had to do was climb in through the filter hole and skimmy along the the duct, removing the residual grease as they went. The the below photograph speaks for itself. To be honest it was not a hard duct cleaning job as far as we were concerned, I still cant work out why even in this competitive market why other professional contractors take such short cuts Further along the horizontal duct where it turns up to the fan, there was a excessive amount of residual grease in some areas which is real terms had become a potential fire hazard.